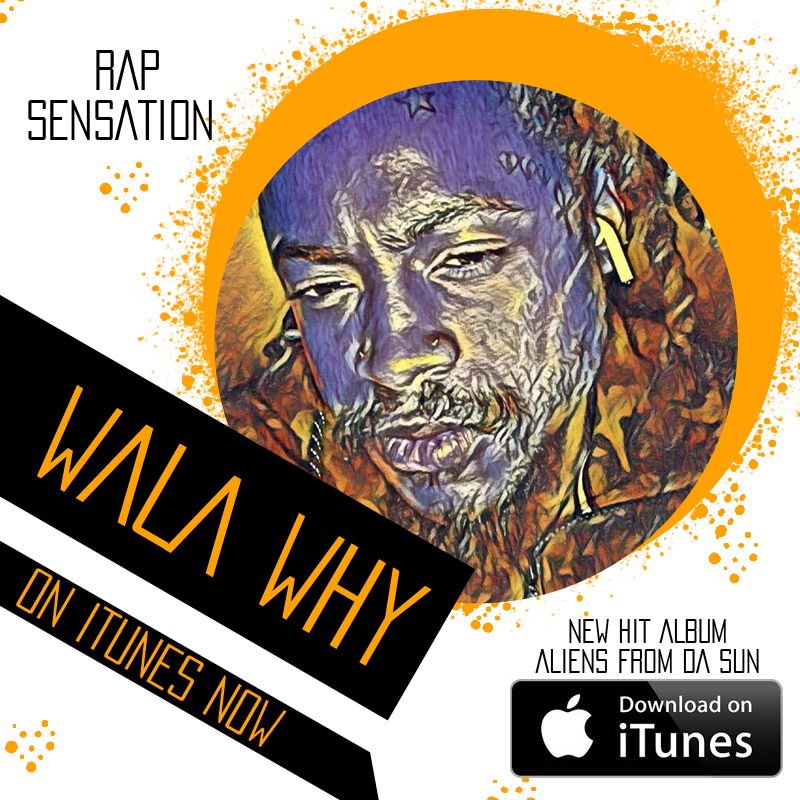 Wala Why’s new album Aliens from Da Sun is filled with intense sounds and great lines of lyrics. His genre is rap and it suits his voice and singing style very well. He weaves different topics through this album with skill. The album cover is also reflective of the contents, because of the intensity. It is of three aliens with intense green-yellow eyes glaring outwards; the sun shines behind them mimicking their stares. These work as a great prequel for the music that is to follow. Go Harder is the first piece from Wala Why’s album. It has an intense sound which is created by his excellent ability to form words and the instrumental sounds he chose as an accent. Back to Africa is a song about heritage. It follows the same sound as the previous song. Sunshine for a Madman is an exploration of happiness. The song next on the playlist is Feeling for You. It is about Wala Why’s journey proving himself to his romantic interest and it is also him serenading her. Thick Stacks is a piece about the power of money. Too Rich rightly follows Thick Stacks because both revolve around the theme of money, however, Too Rich centers more on greed. Money is definitely a strong topic when it comes to rap music. Plata O Plomo has a line, “grind hard until I’m dead,” it expresses the message that is meant to be portrayed. Enemy is a piece which displays how great Wala Why is at creating raps and his full voice really comes through. The next piece on the album is Live for the Bread is about Wala Why’s relationship with money. You are a Star has the line, “you don’t even know who you are, you are a star.” This is a song about Wala Why making someone who doesn’t know how much they are worth, wishes come true. Good Mood is pure joy. Lies, is a piece about how complicated lies are. The Greatest has a more upbeat and techno sound when compared to the other songs. Born Ready has soft sounding vocals which accent his other pieces. Can’t Sleep is a song reflecting about stress. In Family (LV ed) Wala Why discusses what he is willing to do for those who are family. It also sends a message about family values at the same time. Living In Exile is about putting trust in others and living like you’re at war. Wala Why creates pieces that reflect his skill and his great voice. He displays through his multiple songs that he also has a great handle of rap genre and it makes for easy listening as well as compelling pieces. His album Aliens from Da Sun https://itunes.apple.com/us/album/aliens-from-da-sun/1318643463 (out now on iTunes) also has an intriguing cover which draws potential listeners in. The intensity of the aliens looks and of the sun is what makes for a good cover. They play off of the feeling of each other creating a sort of visual vortex of that feeling.